Sometimes when I read a really good book, I start visualising that I am one of the characters in it or how wonderful (more likely heart stopping) my life would be living in the author’s brilliantly fleshed out exciting world. Or I’d start rooting for the tormented protagonist and silently hope the next page to be filled with positives so there will be a happy ending. It’s amazing how the right words can grip you just as tightly and enthral all your senses as a well-directed, scripted movie can. Besides, sometimes a book is even better than a film because your imagination is more powerful than almost anything manmade in the world. 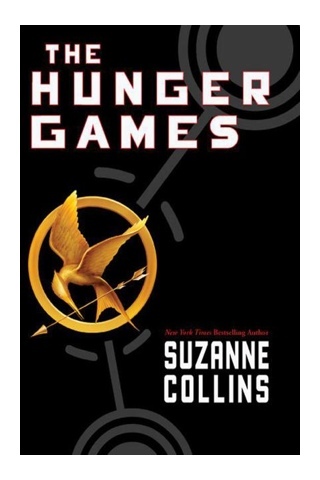 The Hunger Games trilogy is one such series of brilliant writing. It has a storyline that is filled with so many twists and turns that you end up putting all your eggs in one basket and hope beyond hope that the particular character you support would escape the evil clutches safely. You feel the joy, the pain, the anguish, the sorrow and every dilemma deeply. Don’t tell anyone but there were tears in my eyes at some point. I even gasped sharply at some of the action-packed fights. It was as though I was there right inside the book, living out each experience the author described. Not surprising actually because the book was written in a first-person narrative and in present tense. Which is different from The Girl With A Dragon Tattoo trilogy and Terry Pratchett’s Snuff as both were written in the descriptive past tense. It blew my mind away when I finally noticed the different writing styles. Weird how these details jump at me when I told myself to be more aware of the types of literary prose. And both are equally effective in seducing the reader. Yes, it was a 100-watt lightbulb moment for me. Anyway, I found myself rereading certain paragraphs in The Hunger Games over and over again, trying to absorb all the details so I could fill each scene out with rich colours in my head. I was riveted. And I didn’t want the book to end. Now I can’t wait for the movie.